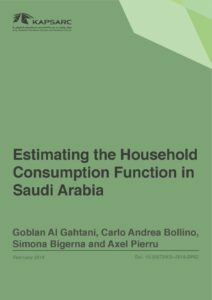 Given the large size of the Saudi energy and energy-intensive sectors and the structural changes that these sectors will experience over the coming years, it is essential to capture the feedbacks between the energy and non-energy components of the economy with sufficient realism. The KAPSARC Energy Model- General Equilibrium is a novel hybrid model that combines the KAPSARC Energy Model (KEM) with a representation of the rest of the Saudi economy. It will provide an open-source technology-rich tool to assess the impacts of energy policies on the Saudi economy and the impacts of non-energy policies on the energy sectors.